Galene goes West: A Virgin at last! Well a Spanish Virgin Island anyway! From Salinas east was always going to be a hard slog. The local wisdom is to start early before the trade winds start to blow and arrive at your next stop by midday. The reason for this is that Puerto Rico has some really high mountains that cause Katabatic winds overnight. These winds tend to be NNE and cancel out the Easterly trades so you only have to contend with the Westerly flowing current. By midday this land effect is over and the land then starts to have the opposite effect, so by mid-afternoon we have strong S Easterlies, caused by the land being hotter than the sea. Phew! All of the above only works if you are close inshore, out of the current and in amongst all the fishing floats! Did I forget to mention them as well! Inshore you also get the chop from the shelf, offshore you get less chop but more current. 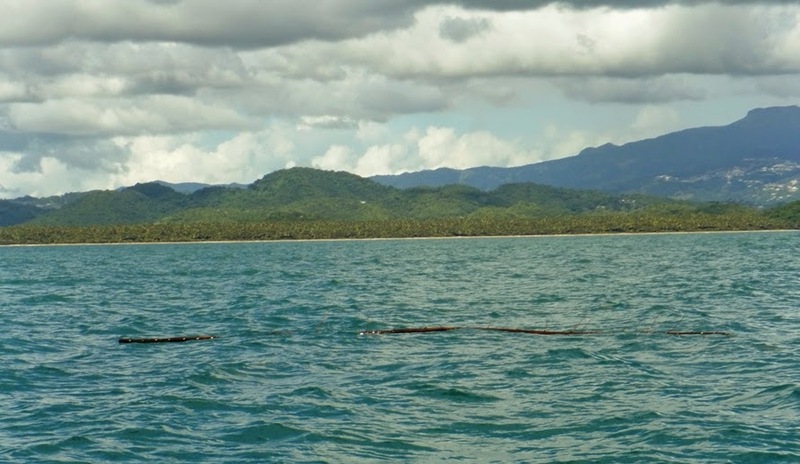 You pay your money…..
Not just fishing floats but a large log as well! Everyone we have spoken too has no real solution to this conundrum except for an early start and motor sailing east. That is what we did. 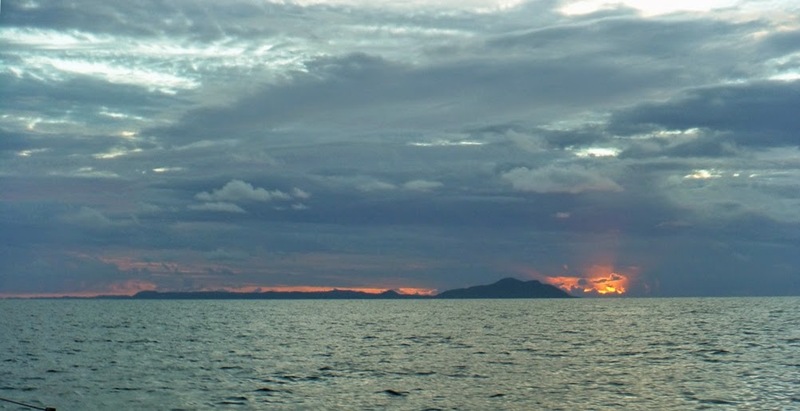 We left Salinas before it was really light and took the inside passage inside the islands through the Bahia de Jobos, it looks pretty shallow and it is in places. The chart plotter proved pretty accurate and we kept to the deep water exiting through the gap in the reef at the Boco del Inferno, an unmarked channel but easy to see the gap of about 20 yards wide with 5m of water. (No problems, but a bit scary none the less). While motoring through the unpredicted swells the engine note slows then picks up again, it does this several times. We try the ‘Italian tune up’ but this doesn’t solve the problem, it seems we are having fuel starvation, with maximum revs and the engine running lean we are now running hot and set off the over temperature alarm! With 10 miles to go to Puerto Patillas, hopefully we can keep the engine running and fix the problem when we get there, changing filters in the swells will not be easy! Thank goodness we arrive OK in Puerto Patillas. 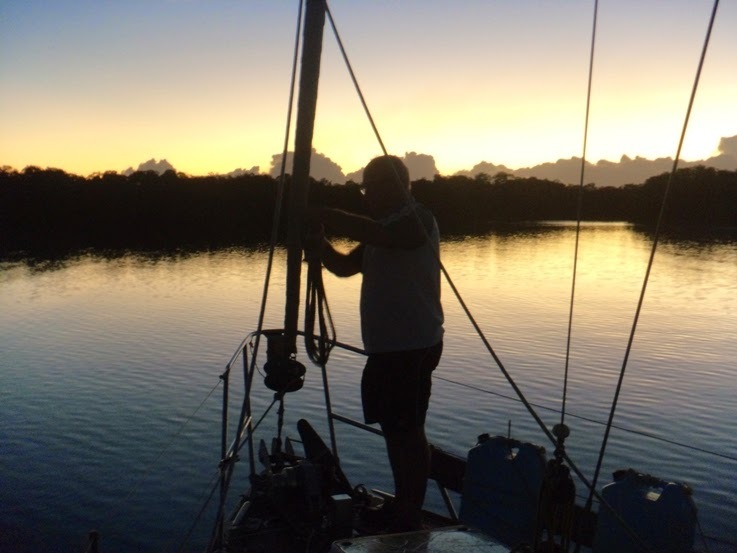 It is an anchorage inside an offshore reef, the reef breaks up the swell so we were anchored in flat water, no real shelter from the East wind but it was fine for the night with the land producing gentle cooling offshore breezes. Two local boats were on moorings but we were alone at anchor. Nothing much ashore either, but it looked like there was a hotel being built. Fuel filter changed and all seems OK. We will find out for sure tomorrow. Another early start, even before the sparrows! We are motoring east again. Since Ponce, each of our little hops has been 20-25 miles east so we are slowly making our way to where we want to be. On this leg of the journey we will get to the furthest east point on Mainland Puerto Rico, here we will have a choice to make; either head a little North up the coast to Cayo Santiago (the home to a colony of Rhesus monkeys kept on the island for research by the University of Puerto Rico – Why? ), or make for the deserted west coast of the island of Vieques. It is further to Vieques than Santiago and with predicted settled weather Santiago should not be too rolly. It can be rolly with big swells but these are not predicted so we head for Cayo Santiago. 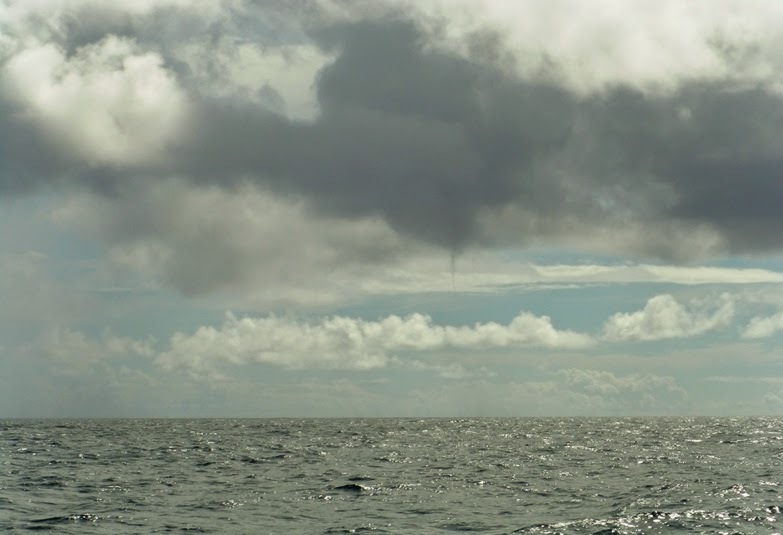 For 20 minutes the wind is in our favour and we actually manage to sail, not for long, and the engine is on again. From either anchorage we will have the same distance on Friday morning to Culebra. Cayo Santiago is very pretty and we are the only boat anchored in the lee of the little island. An afternoon swim (even though the water is a bit green and not very clear), a very cold beer (the fridge has been on maximum as we have more electricity than we need with all our motoring) and supper in the cockpit, monkeys on the beach (going ashore is prohibited) what more can you want? An engine bilge that doesn’t fill with water when we are motoring! I suppose we cannot have everything. 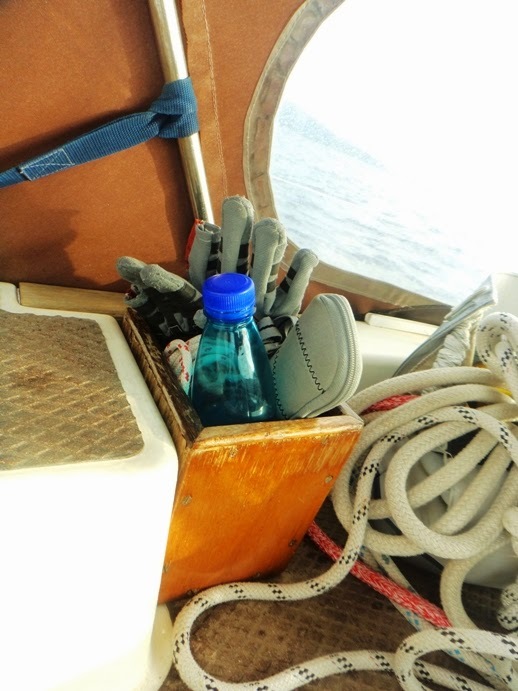 Ok on a final note, here is one of our most usefull bits of kit while on passage. Thank you Vic! Somewhere to keep the camera, gloves sunglasses (well the case mainly!) and a cold drink! Water of course.